Thomas La Fontaine has had a long illustrious career painting predominantly figurative and equine portraiture. After the war, extensive commercial work was followed by the return of the easel and commissioned paintings. Often compared with Sir Alfred Munnings, he first exhibited at Ackermans in 1962, with further exhibitions in 1966 and 1972 with Peter Howell. 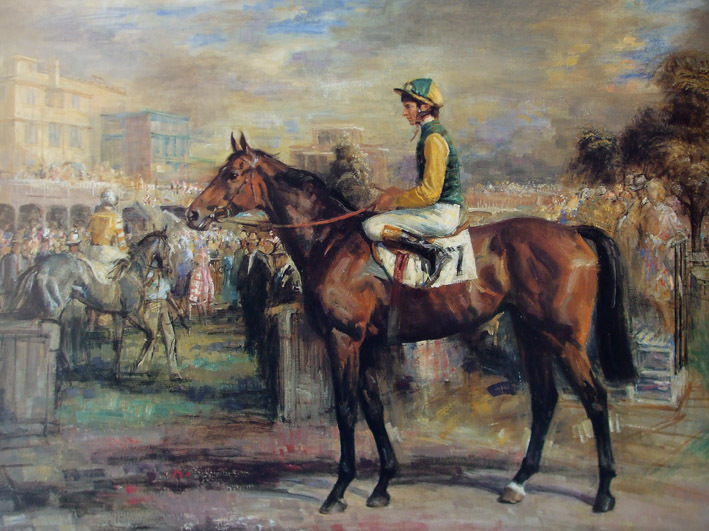 Thomas has many original works in major US, French and Belgian collections and his paintings are still much sought after by leading Turf devotees and establishment figures.